Image: Shower by Nevit Dilmen. 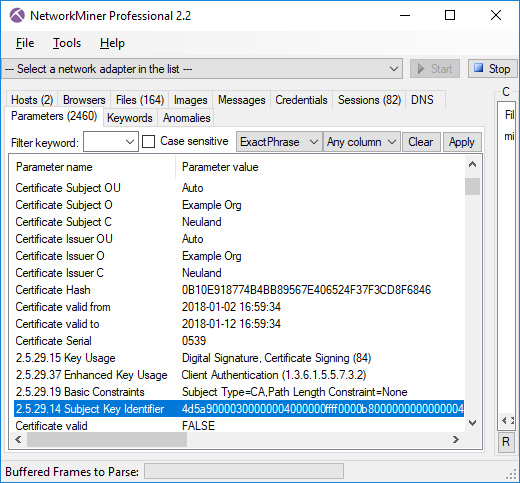 I would therefore like to use this blog post to briefly describe an effective blacklist-free approach for detecting malware and intrusions just by analyzing network traffic. 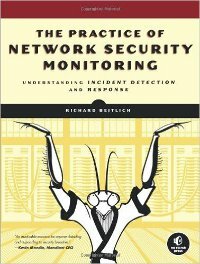 My approach relies on a combination of whitelisting and common sense anomaly detection (i.e. not the academic statistical anomaly detection algorithms that never seem to work in reality). 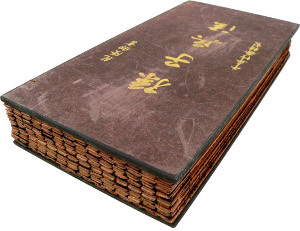 I also encourage CERT/CSIRT/SOC/SecOps units to practice Sun Tzu's old ”know yourself”, or rather ”know your systems and networks” approach. After looping through these steps a few times you'll be left with some odd network traffic, which will have a high ratio of maliciousness. The key here is, of course, to know what traffic to classify as ”normal”. This is where ”know your systems and networks” comes in. The next time you are at your console, review some logs. You might think... "I don't know what to look for". Start with what you know, understand, and don't care about. Discard those. Everything else is of interest. HTTP(S) traffic to popular web servers on the Internet on standard ports (TCP 80 and 443). SMB traffic between client networks and file servers. DNS queries from clients to your name server on UDP 53, where the servers successfully answers with an A, AAAA, CNAME, MX, NS or SOA record. ...any other traffic which is normal in your organization. Whitelisting IP ranges belonging to Google, Facebook, Microsoft and Akamai as ”popular web servers” will reduce the dataset a great deal, but that's far from enough. One approach we use is to perform DNS whitelisting by classifying all servers with a domain name listed in Alexa's Top 1 Million list as ”popular”. You might argue that such a method just replaces the old blacklist-updating-problem with a new whitelist-updating-problem. Well yes, you are right to some extent, but the good part is that the whitelist changes very little over time compared to a blacklist. So you don't need to update very often. Another great benefit is that the whitelist/rinse-repeat approach also enables detection of 0-day exploits and C2 traffic of unknown malware, since we aren't looking for known badness – just odd traffic. I often use Argus with Racluster to quickly search a large collection of session data via the command line, especially for unexpected entries. Rather than searching for specific data, I tell Argus what to omit, and then I review what’s left. Sometimes I hunt for traffic by telling Wireshark what to ignore so that I can examine what’s left behind. I start with a simple filter, review the results, add another filter, review the results, and so on until I’m left with a small amount of traffic to analyze. 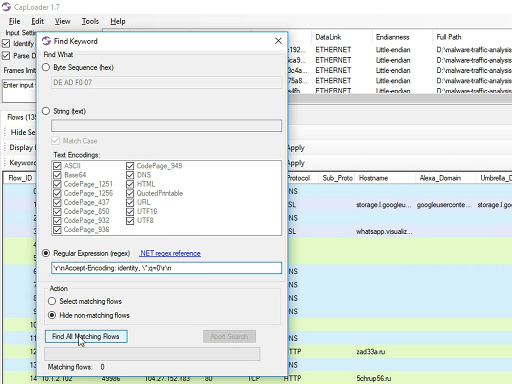 I personally find Rinse-Repeat Intrusion Detection ideal for threat hunting, especially in situations where you are provided with a big PCAP dataset to answer the classic question “Have we been hacked?”. However, unfortunately the “blacklist mentality” is so conditioned among incident responders that they often choose to crunch these datasets through blacklists and signature databases in order to then review thousands of alerts, which are full of false positives. In most situations such approaches are just a huge waste of time and computing power, and I'm hoping to see a change in the incident responders' mindsets in the future. 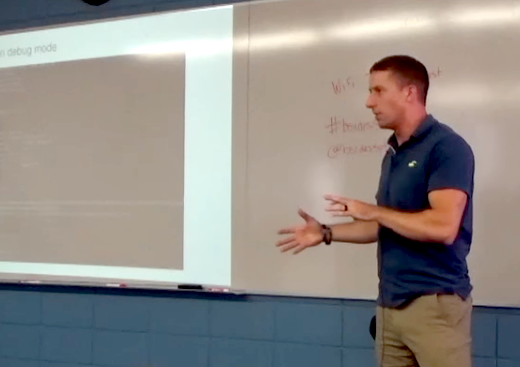 I teach this “rinse-repeat” threat hunting method in our Network Forensics Training. In this class students get hands-on experience with a dataset of 3.5 GB / 40.000 flows, which is then reduced to just a fraction through a few iterations in the rinse-repeat loop. The remaining part of the PCAP dataset has a very high ratio of hacking attacks as well as command-and-control traffic from RAT's, backdoors and botnets. We have now published a blog post detailing how to use dynamic protocol detection to identify services running on non-standard ports. This is a good example on how to put the Rinse-Repeat methodology into practice. 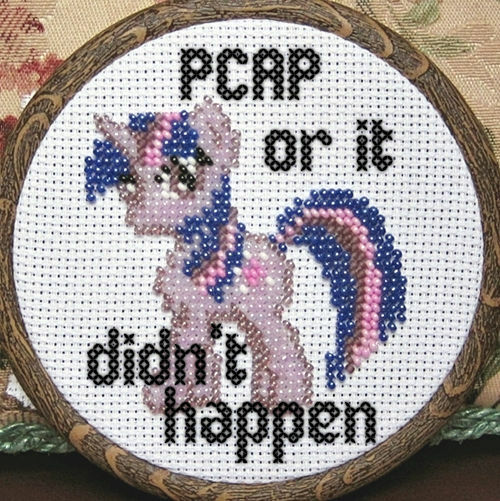 The phrase "PCAP or it didn't happen" is often used in the network security field when someone want proof that an attack or compromise has taken place. One such example is the recent OpenSSL heartbleed vulnerability, where some claim that the vulnerability was known and exploited even before it was discovered by Google's Neel Mehta and Codenomicon. "Anyone reproduced observations of #Heartbleed attacks from 2013?" 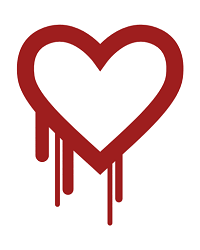 "If someone finds historical exploits of #Heartbleed I hope they can report it. Lot's of sites mining now." 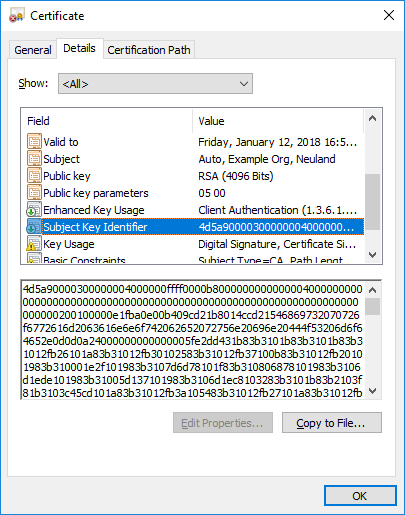 Additionally, IDS signatures for detecting the Heartbleed attacks weren't available until after implementations of the exploit code were being actively used in the wild. Hence, the only reliable way of detecting early heartbleed attacks (i.e. prior to April 7) is to analyze old captured network traffic from before April 7. In order to do this you should have had a full packet capture running, which was configured to capture and store all your traffic. Unfortunately many companies and organizations haven't yet realized the value that historical packet captures can provide. Some argue that just storing netflow data is enough in order to do incident response. However, detecting events like the heartbleed attack is impossible to do with netflow since you need to verify the contents of the network traffic. Investigate IDS alerts to see if they were false positives or real attacks. 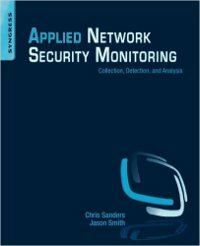 Analyze network traffic from a compromise to see what the attacker did after hacking into a system. Assess what intellectual property that has been exfiltrated by an external attacker or insider. Perform forensic analysis of a suspect's network traffic by extracting files, emails, chat messages, images etc. The first step, when deploying a full packet capture (FPC) solution, is to install a network tap or configure a monitor port in order to get a copy of all packets going in and out from your networks. Then simply sniff the network traffic with a tool like dumpcap or netsniff-ng. Another alternative is to deploy a whole network security monitoring (NSM) infrastructure, preferably by installing the SecurityOnion Linux distro. A network sniffer will eventually run out of disk, unless captured network traffic is written to disk in a rung buffer manner (use "-b files" switch in dumpcap) or there is a scheduled job in place to remove the oldest capture files. SecurityOnion, for example, normally runs its "cleandisk" cronjob when disk utilization reaches 90%. The ratio between disk space and utilized bandwidth becomes the maximum retention period for full packet data. We recommend having a full packet capture retention period of at least 7 days, but many companies and organizations are able to store several month's worth of network traffic (disk is cheap). Okay, you've got a PCAP store with multiple terabytes of data. Then what? How do you go about analyzing such large volumes of captured full content network traffic? Well, tasks like indexing and analyzing PCAP data are complex matters than are beyond the scope of this blog post. 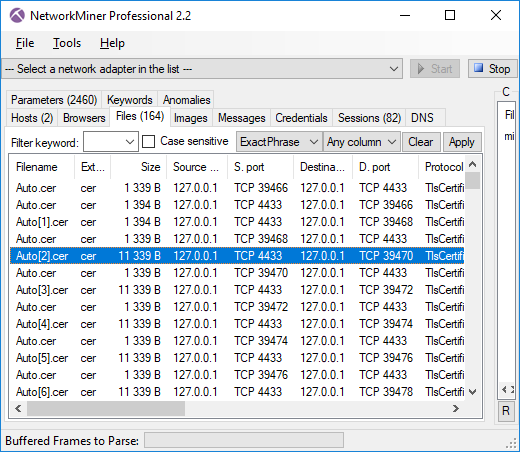 We've covered the big data PCAP analysis topic in previous blog posts, and there is more to come. However, capturing the packets to disk is a crucial first step in order to utilize the powers of network forensics. Or as the saying goes “PCAP or it didn't happen”. 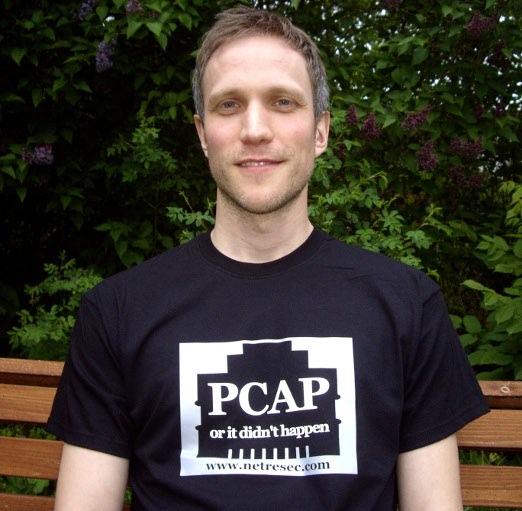 We now have T-shirts with "PCAP or it didn't happen" print for sale!